This entry was posted on Sunday, November 25th, 2018 at 13:56 and is filed under My Own Tips / Mes trucs. You can follow any responses to this entry through the RSS 2.0 feed. You can leave a response, or trackback from your own site. Je suis trop philosophe ce soir !! Nul n’est jamais trop philosophe (et/ou récupérateur). Good idea too. Thanks for sharing. 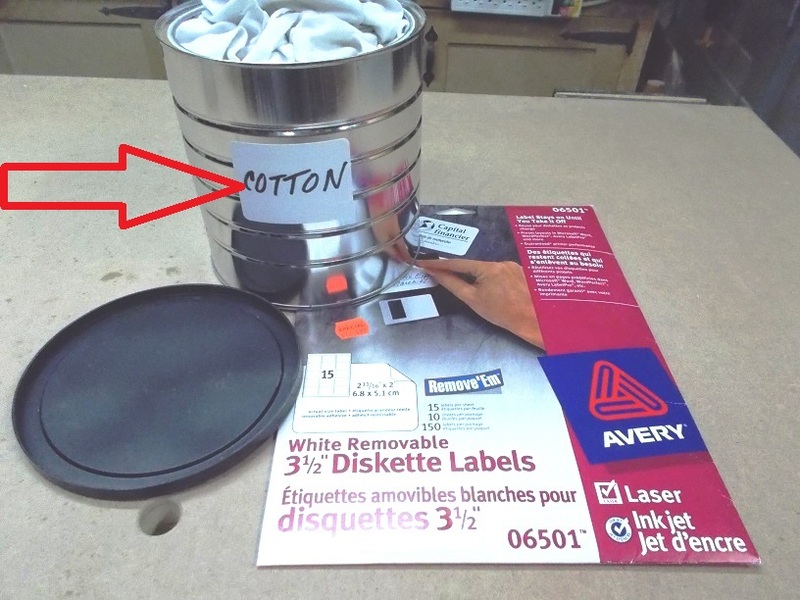 If you have any CD/DVD labels (which are pretty much obsolete) you can print them for the Lids for coffee containers. Good idea. And it happens I have such CD/DVD labels. Thanks ! Serge, who ever would have thought that the usefulness of the diskette label would outlive the usefulness of the diskette.